In the previous article I concluded at the point where Fred Elizalde and his Music had moved into the Savoy Hotel. Before continuing from there, it might prove useful to go back a year or two to 1926 when Fred Elizalde and his older brother Manuel, both jazz fans, were sent as undergraduates to Cambridge. Fred, an accomplished pianist, was also interested in composition and arranging, whilst Manuel was a capable amateur saxophone and clarinet player who had led a dance band in the States. The brothers were Spanish/ Americans from a millionaire family. Soon after their arrival at Cambridge they formed a band of undergraduates known as the Quinquaginta Club Ramblers, a combination consisting of two trumpets, four saxophones, four rhythm, including sousaphone; in addition one of the players occasionally blew a solo on trombone. With the Elizaldes' influence and means it received considerable publicity of a degree unusual for a varsity band. I also recall hearing it broadcast whilst, during the Spring of 1927, it made several records under the title Fred Elizalde and his Varsity Band. But even allowing for the poor standard of recording in those days the whole effect was messy, it being clear that the amateur musicians were attempting to play arrangements that required a standard of ability far in excess of their own. Furthermore Fred Elizalde himself, despite obvious musical training and knowledge, when playing fast numbers was handicapped by an atrociously erratic tempo, especially in solos, during which he frequently beat rather than tapped both feet simultaneously, lifting them some six inches off the floor! Later in the same year the brothers gathered a group of first- class professional musicians around them for a recording session and, as would be expected, the result was far more successful for, in addition to themselves, there were Jack Jackson on trumpet, Jack Miranda on alto saxophone and clarinet, Joe Crossman on tenor saxophone, Tiny Stock on sousaphone and Max Bacon on drums. But the recording and studio conditions were still pretty poor and Fred's tempo still unreliable, so it was virtually impossible for even solid and experienced men like Stock and Bacon to hold things together as they would have done at a `live’ performance. In due course came the announcement that Fred Elizalde would be giving up Cambridge to take his "Music" as his band was called into the Savoy, coupled with the announcement that he had obtained permission to bring over three of America's leading jazz musicians in the persons of Adrian Rollini, on bass saxophone and sundry other instruments, Bobby Davis, on first alto, soprano and baritone saxophones and clarinet, and Chelsea Quealey on first trumpet, all of whom were already well- known to us as members of various recording groups in the States notably, perhaps, of the California Ramblers, which as a group had never been anywhere near California! In addition to Elizalde and the three other Americans, there were also to be Norman Payne on second trumpet, Harry Hayes on second alto and soprano saxophones and clarinet, Rex Owen on tenor, soprano and baritone saxophones and clarinet, Len Fillis on guitar and banjo, and the former drummer of the Savoy Orpheans Ronnie Gubertini, a magnificent player, whilst the vocals were handled by Dickie Maxwell. The band opened at the Savoy with much publicity in January 1928, and despite certain "domestic" problems represented, in my opinion, another important milestone in the development of jazz in Britain. However, although popular with musicians, the band did not go down so well with the Savoy clientele, one reason being that during the early stages of the engagement Elizalde refused to play waltzes! He ultimately relented and actually composed one with the title "Again" which was used as a feature for ·Bobby Davis, who used to play a chorus on the soprano saxophone giving a remarkable imitation of a Hawaiian steel guitar. Later in the year George Hurley was added to play solo violin. George's jazz was always good, and, if my recollections are correct, I believe it was also at around that point that Tiny Stock was added on string bass. Later still, when the New Orpheans followed their predecessors out of the Savoy, Elizalde was required to augment substantially and further Americans arrived in the persons of Adrian Rollini's younger brother, Arthur, and Fud Livingstone, on tenor saxophones and clarinets, and Max Farley on alto saxophone, clarinet and flute. From Britain were added Phil Cardew, who joined the reeds on alto saxophone, clarinet and, I think, accordion, whilst George Hurley was joined by Ben Frankel and Len Lees on violins and Herbie Powell on viola. Nobby Knight came in on third trumpet and Bill Busby on second bass whilst two other additions were Glasgow pianist Billy Mason, and the then well- known harpist, Mario Lorenzi. Len Fillis was replaced by Jackie Hill. A trombonist named Frank Coughlan was brought all the way from Australia because, so Elizalde claimed, there were no local trombone players good enough! But the fact was that good local players were occupied elsewhere. 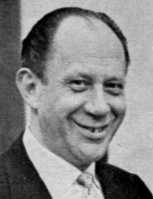 Ted Heath, for example, was with the Ambrose Orchestra at the May Fair Hotel, Lew Davis was still with Jack Hylton's stage band, whilst other good players, like Tony Thorpe, Sam Acres and Bill Mulraney, were keeping quite busy, despite the economic problems with which the profession was beset. When Coughlan ultimately returned to his own country, an English player was engaged who, I seem to recall, was Jack Collins, but by then Elizalde had moved a long away from his original music policy. There were now virtually three groupings: the original band of nine, the "Hot" Music, which consisted of Rollini, Davis, Quealey, Elizalde, Gubertini and Hill, and the full ensemble; so at the hotel it was a simple matter, with so many musicians around, to arrange refreshment breaks. It was nevertheless clear that Elizalde had an eye on the stage and concert hall. Meantime, all three combinations had made a number of recordings with varying degrees of success. The most interesting from the jazz angle were, of course, those made by the ` Hot" Music, and these were recorded whilst Fillis was still a member. Some of these were still available in the form of an album issued by Decca just over ten years ago, but unfortunately this was later deleted. The best numbers were "Dixie", a slow number allegedly written by Rollini which certainly featured his bass saxophone quite beautifully, "Tiger Rag", “Arkansas Blues", "Sugar Step", "Somebody Stole My Gal" and "The Darktown Strutters' Ball". There was also a nice recording of Maceo Pinkard's `Sugar", by the original nine instrumentalists which, incidentally, brings to mind an amusing experience I enjoyed at the time. The publicity surrounding Elizalde alleged that, in addition to being many years ahead of his time, he was creating completely new harmonies and ideas into his arrangements of a kind previously undreamed of! A friend of mine who was a fairly competent amateur pianist and fan of Elizalde's had told me of the difficulty he was having in trying to fit the "new melody and harmonies" that Elizalde had introduced into "Sugar" to the commercial piano part with which he, my friend, was very familiar. When I called round to see my friend and he proceeded to demonstrate his problem I found the answer to be a simple one, for the "Sugar" with which he was familiar was an earlier one, by Meyer and Young, well- known to professionals as it was already in the books of most bands and a recording of it, by Red Nichols and others, had reached us some time previously. So the new contribution from Elizalde had been to introduce a new "Sugar". My friend was slightly embarrassed but overall, I think, relieved— for otherwise he might never have solved the mystery of those "new" harmonies! The records of the full ensemble were most disappointing, due mainly to the poor quality of the recording and some arranging tricks that often failed to come off. There were the odd snatches of jazz from one or another of the Americans, especially Rollini, but overall these were commercial discs that never did justice to the orchestra— particularly the splendid string section, which was desperately under- recorded. In July 1929 Elizalde's Savoy Hotel contract was terminated but he played a couple of weeks in variety at the London Palladium, for which Leonardo Gubertini, Ronnie's father, was added on timpani. I recall attending one of the performances and also a special Sunday concert which the orchestra gave at the Shepherd's Bush Pavilion. By then, however, both Quealey and Livingstone had left for the States, quite suddenly, and it was widely noted how efficiently and effectively Norman Payne and Arthur Rollini took over their books. The orchestra, or a substantial part of it, then played a pretty disastrous tour of some of the provincial variety theatres then in existence, and later Elizalde directed a pit orchestra at London's Duchess Theatre for a revue for which he had written the music. In 1933 he went to Spain to study composition and, in 1936, to indulge in some non- musical activities in Franco's army during the Spanish Civil War. He has been heard of occasionally since World War II when he has visited Britain to conduct one or another of his compositions played by British symphony orchestras and, since this instalment of my series was commenced, I have learned from George Hurley that Elizalde had recently died. It is sad to note the tragic coincidence that Messrs. Quealey, Davis, Farley, Livingstone and Adrian Rollini met violent deaths within the three decades following their return to the States all, with the exception of Rollini, in car crashes. In retrospect we have to appreciate that if Elizalde's Music did not win Britain for jazz all those years ago— and it is perhaps worth remembering that all the tickets for the Shepherd's Bush concert were given away free of charge— it did win many of Britain's musicians for jazz. Their enthusiasm permeated among their contemporaries and was passed on to scores of fine players who followed. Hence my reason for counting the comparatively brief period of existence enjoyed by the Elizalde band as a milestone in the development of jazz in Britain. Next month we shall be looking at the years that followed up to 1930, including further important influences in the field of recording.